Home Baking recipes Halloween Chocolate Candy Molds- Fun Spooky Molds for Your Halloween Chocolate! That’s it! No fancy equipment or super knowledge required, and eating the results is quite satisfying. I love using the chocolates I make to decorate a Halloween Buffet table, or I bag them as special treats for my favorite little goblins who come to my door! 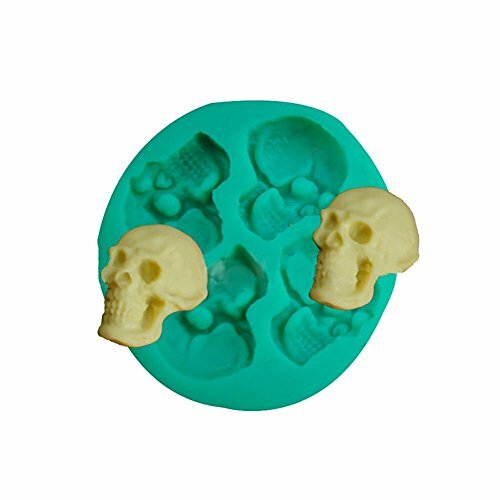 There are loads of different molds available… depending on if you like cute or scary, simple or complex. Need Tips on Melting and Molding Chocolate? 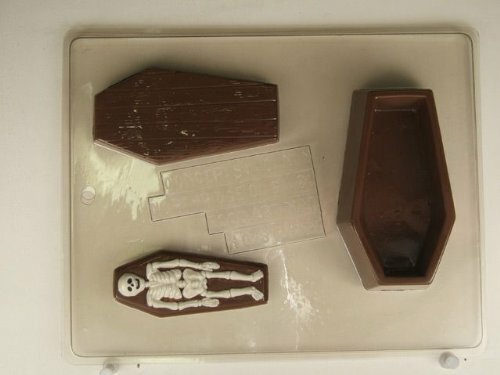 Looking for MORE Halloween Chocolate Candy Molds? Pumpkins, Ghosts, and things that go BUMP in the Night. Molds come in a variety of spooky and non spooky shapes. Molds like these are fun to make little decorative chocolates to top cupcakes. Rats and Spiders and Frogs!Oh MY! These creepy animal and spider molds make great chocolates to top cupcakes and cakes. They can even be used to freeze water or jello… what a fun surprise to find in your drink! What’s cool is that you can also use these molds for a Harry Potter Party… Chocolate Frog anyone? These are Certain to Be a HIT! This fun 3 D Casket with a Skeleton is fantastic. Use 2 colors of chocolate for a strong impact. Wonder if you would eat it from the head end or the feet end? Start with melted white chocolate and dark chocolate. Use a paintbrush, or very carefully with a spoon, fill the skeleton part of the mold with white chocolate. Let it set. Then add the dark chocolate over it. Let it set. When you un-mold, you will have both colors. Witches make great Halloween Treats! The 3D ones can be wrapped like a chocolate Easter Rabbit. You could put it in the basket too! It’s a simple trick…. All you need is the Finger Mold, some Chocolate Candy Melts, a few White Chocolate Candy Melts, and a bit of Green Candy Food Color. Skulls are great for Halloween AND the Day of the Dead . 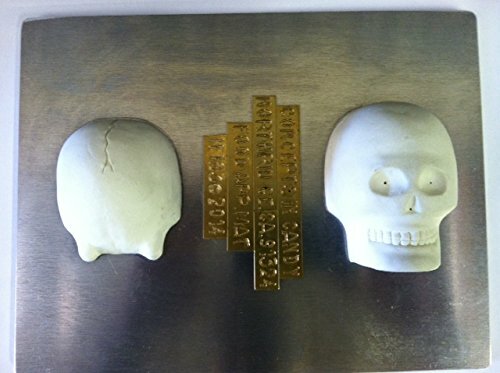 Skulls can be molded and decorated with different colored chocolate or food pens. This is a 3D mold… so you fill both sides of the mold, then when the chocolate sets, you glue the halves together using more melted chocolate. Don’t forget to clean up the edges! A Skull needs some BONES! I also use bones like these to decorate or augment Zombie Mousse. Chocolate bones make great garnishes for mousse and pudding. I love setting up a graveyard for Halloween…. these make great decorations for a sheet cake..
You can also put them on a load of cupcakes for a pull apart graveyard. (If you cover the cupcakes or cake with chocolate frosting and chocolate crumbs, it looks like dirt). Use colors! Add names to the stones to “personalize” them. You can have a lot of fun setting up your Chocolate Graveyard. These make a huge impact… use them as a centerpiece for your party… or treat someone special. Wouldn’t it be fun to put a chocolate skull on the table… with a hammer. Maybe one for each person.